Completed in 2012, architect Santiago Calatrava’s Peace Bridge spans the Bow River in Calgary, connecting a residential community with the downtown area. The partially enclosed helical structure features a central bike lane with pedestrian paths on either side and is painted red and white, colors that also appear in the Canadian and Calgary flags. Dietmar Feichtinger Architectes designed this passage to the medieval French city of Mont Saint-Michel, located off the coast of Normandy. Linking the mainland to the UNESCO World Heritage Site, the structure includes the nearly half-mile-long pedestrian bridge and a slightly longer causeway used for shuttles. Connecting the north and center districts of Rotterdam in the Netherlands, the Luchtsingel was designed to stimulate development and economic growth in areas that had become neglected. 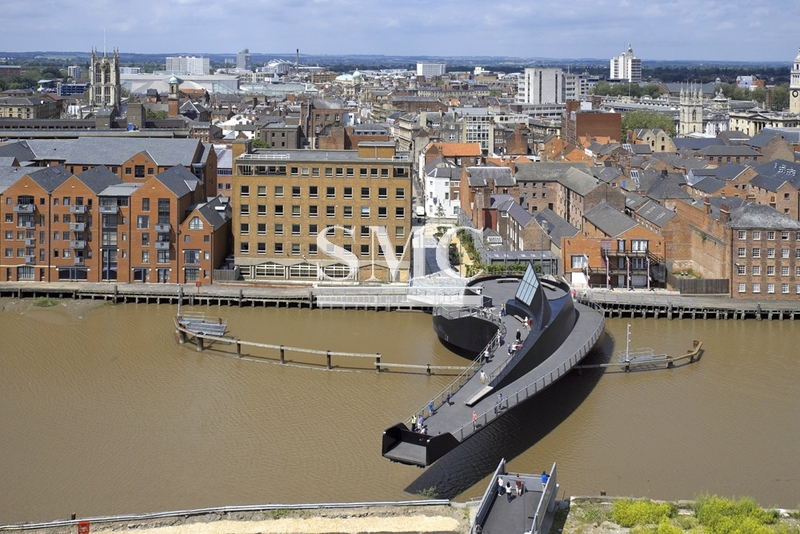 The quarter-mile-long pedestrian bridge, devised by the Dutch architecture firm ZUS, was financed by the city and a crowd-funding campaign. The wood structure is lined with planks bearing the names of the sponsors.